1.10.3 Which type of printing material do you prefer to use? The best 3D Printers have become better, more affordable, and easily accessible. In the past, there used to be only a few selected models available on the market. They came at a high price and the likeliness is you could not afford one. Today, you find 3D printer brands at different retail stores online. You can buy them in every printing method, design, and size. However, with so many to choose from, which one is best suited for you. We are here to help you out. With us, you can find a selection of the top 10 best 3D printers in 2019 available on the market. Are you ready to find the perfect model to use in your home or business? You can view our rundown of different three-dimensional printers here to make the right decision when buying one. No matter what your printing needs may be, our selection of the top 10 3D printers reviewed here will come to your rescue. Check out some of the best brands right here. For an affordable 3D printer to make your project stand out from the rest choose the XYZPrinting brand. They have the Da Vinci Jr. 1.0w model waiting for you for less than 350 bucks. 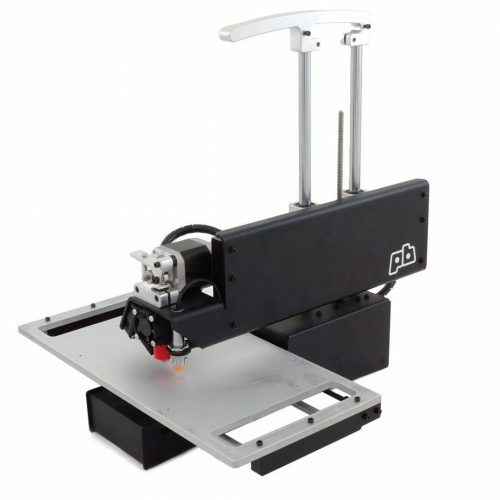 The printer has a 5.9-inch x 5.9-inch x 5.9-inch auto-leveling print bed with an auto-calibrating extruder. Connect the printer wirelessly to your home network and print from anywhere. The only negative is the printer only prints on the bio-compostable non-toxic XYZPrinting PLA filament. This filament is DEHP-free and Heavy Metal-free. There is no concern of fires or shocks when using the device as it is UL listed. You can connect the Da Vinci to your Windows or MAC computer and requires no cable management. The resolution of the 3D printer is 100 to 400 microns and has a 2nd Generation Auto-Calibration system. Furthermore, the model measures 22.8 x 19 x 12.5-inches and weighs 25 pounds. Other important characteristics are as follows: it has a 0.015-inch single extruder nozzle, prints with fused filament fabrication (FFF); nozzle diameter is 0.4mm with a filament diameter of 1.75mm. The printer control is 2.6-inch with a 4-line resolution screen and has navigation buttons. The Da Vinci 3D printer has a USB and SD card slot. If you want to take your project to the next step, the Monoprice Maker Select 3D Printer is your perfect starter kit to get the job done. The great thing is you can start printing right out of the box. Compared to our previous model you can use this printer with different types of 3D filament. You get a 2GB MicroSD card with printable models, a sample PLA filament, heated build plate, and required hardware. Another standout is you can print on ABS-based, PET, FPE, PVA, jelly, foam and more. The unit is compatible with any 3rd-party software, Windows, MAC, and Linux. You get a large 7.9 x 7.9 x 7.1-inches build plate with 7-inch vertical spacing to print larger and complex projects. The printer dimensions 19.7 x 18.9 x 11.2-inches and weighs 1.4 ounces. 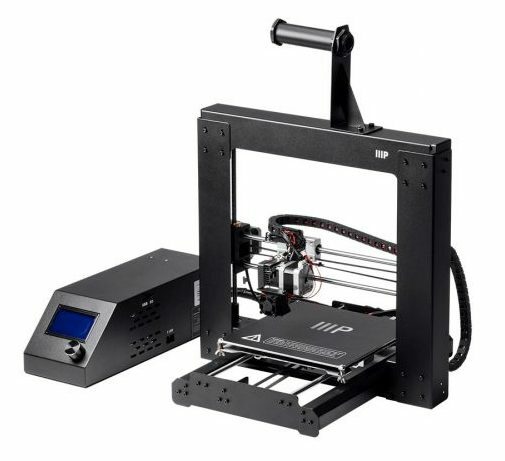 Other, important features are as follows: resolution is 100 microns, filament diameter 1.75mm, printing speed 100mm/sec, and extruder temperature 500°F, connects via USB, and includes a one-year warranty. \The Printrbot is one of the best 3D printers currently available on the market. Included with the design you receive an aluminum handle with spool rack. The device has a metal construction, making it durable to last a lifetime. The Printrbot uses three-dimensional fused-filament-fabrication. Furthermore, you print on 1.75mm PLA thermoplastic filaments and not included in the purchase. The printer has a 6 x 6 x 6-inch open platform and the printer head move on the Y to Z-axes. Other standouts are the auto-leveling probe that works with most software. The maximum resolution is 100 microns and has a fan included helping solidify the molten filament. You can use open-source software and it connects via the USB to your computer. There is a slot for the SD card and for stability and smooth movement; it has 12mm rails with linear bearings. Further, it includes the NEMA ICS 16-2001 standards. The hot end is 1.75 Ubis with a 0.4mm nozzle and the print bed is semi-auto leveling with a GT2 belt and weighs 12 lbs. The assembled dimension is 14 x 10 x 16-inches. Printrbot backs their 3D printer with a one-year warranty. Compared our previous device the Printrbot you can find a more affordable one, the Tiertime UP mini 2. 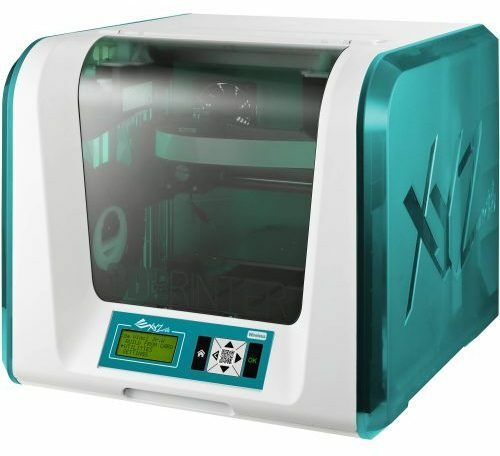 This is a top 3D printer with touch screen control and wireless connection with different mobile devices. The great thing is if there is a power failure the UP mini 2 resumes printing from where it last stopped. The nozzles fully automated to detect the proper height and assisted by the included software for the best leveling. To keep the air emission, safe the three-dimensional printer has a built-in HEPA air filtration system. There is an aluminum handle with a separate spool container making it easier to carry the unit. 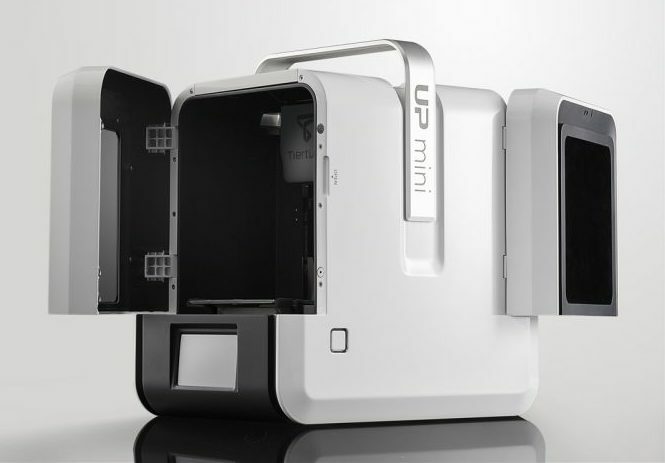 Compared to its sibling the UP mini 1 the Up mini 2 has undergone an improvement and prints in 0.15mm layers. The build volume is 4.7 x 4.7 x 4.7-inches and heated with a perforated print board. Alternatively, you can use a UP Flex print board with it. The device uses untethered printing with op door alert with an average noise of 51dB. Further, you can use it with Windows, MAC, and ISO operating systems. Tiertime backs the product with a one-year warranty. The printing technology is MEM (Melted Extrusion Modeling.) The printer weighs 20 lbs and has a dimension of 14.3 x 10 x 15.1-inches. 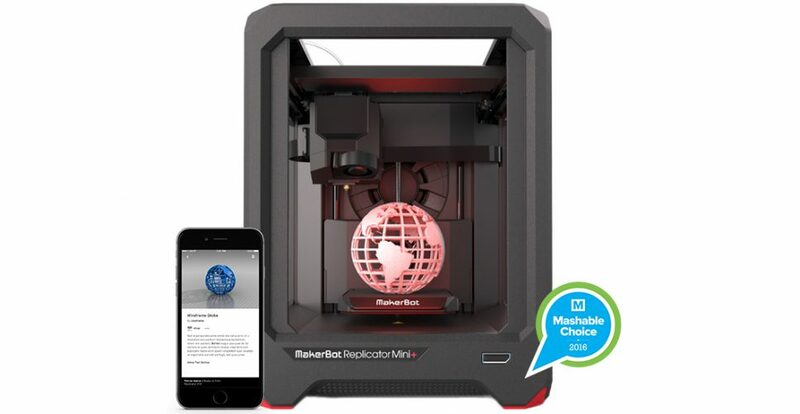 If you have the money to spend on one of the best 3D printers buy the MakerBot Replicator Mini+. You can print large models up to 4 x 5 x 5-inches. With the durable design, the z-stage offers you printing on a stiffer material. This printer’s ready out of the box and you can connect it wirelessly to most mobile devices. The filament routings improved and prints on PLA filament. Furthermore, it supports Native CAD and has a Cloud-Enabled Management system. You can auto arrange multiple build plates and the rafts improved for a cleaner print. Other highlights of the 3D printer are the automatic jam detection, notifications to replace the filament and auto-calibration. The device will fit perfectly on your desk, as its measurements are 11.6 x 13.8 x 15-inches and weigh 20.5 lbs. The resolution is 100 microns and uses 1.75mm PLA filament. The diameter of the nozzles 0.4mm the operating temperature is up to 78°F. The downside is the products backed by a 6-month warranty compared to the competitors reviewed here. 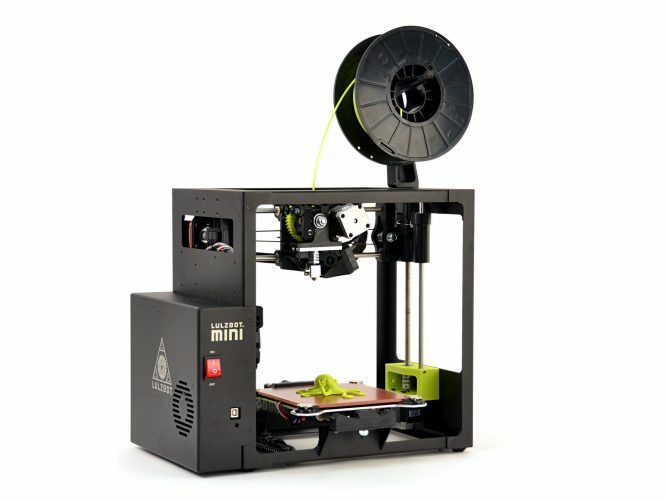 The LulzBot Mini Desktop 3D Printer does not come cheap but has awesome features with auto-bed leveling. Not only does the bed level by itself, it has auto-nozzle cleaning with an easy carry handle. The print surface is PEI low maintenance and includes the new CURA software. The print volume is 6 x 6 x 6.2-inches with a 50-micron layer resolution and can reach up to 500 microns depending on the geometry of the project. The maximum temperature is 572°F for the hot end and 248°F when open. With the modular tool head carriage, this is one of the best 3D printers with plug-and-play use. You can use any type of three-dimensional printing software with the device. You can connect it to your computer via USB cable for Tetherless printing using an SD card. The filament diameter is 3mm and the nozzles .50mm with a layer thickness ranging from 0.05 to 0.50mm. The LulzBot is a great entry-level 3D printer with a one-year warranty included. You can print on PLA and ABS filament and has 0.1mm YX accuracy. The printer measures 15.2 x 17.1 x 13.4-inches and weighs 18.8 lbs. 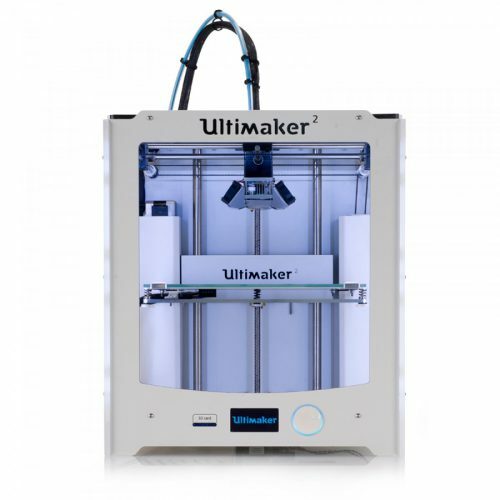 The Ultimaker 2+ has undergone an upgrade allowing you to switch between different nozzles ranging from 0.25 to 0.8mm. You can print on ABS and PLA filaments with the new improved heated bed. Swap out the filament with ease with the innovative feeder and with the fan caps, it provides sufficient airflow below the nozzle. The 3D printers capable of reaching up to 20-micron layer resolution with a 12.5 micron XY precision with a 5 micron Z precision. The dimension of the printer is 35.7 x 34.2 x 38.8 cm and weighs 11kg. The device has a USB and SD card slot while the build volume is 22.3 x 22.3 x 20.5cm. You receive all the needed hardware and printing stationery to get you started included with your purchase. Some of the standout features: uses Fused Filament Fabrication, wired connectivity, the minimum operating temperature is 59°F, includes a one-year warranty. 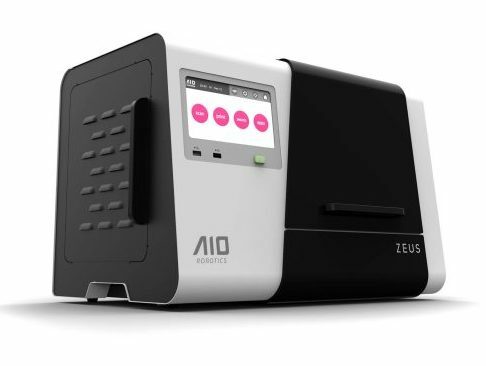 Another top 3D printer is the AIO Robotics Zeus model. The maximum build of the axis is 6 (L) x 8 (W) x 5.7-inches (H) and prints a resolution of 80 microns. You can print on 1.75mm PLA filament and it has a seven-color touchscreen control with automated printing functions. You can scan, search for files online, do onboard editing, and change files without the help of your computer. The bed leveling is done automatically to give you precise prints and scans. The scan volume is 5-inches high by 9-inches in diameter and the extruder/turntables removable. Connect the Zeus via an Ethernet cable to use the wireless capabilities and the software is updated regularly. The print technology used is FFF and the extruder nozzle diameter is 350 micron. The print speed is 40 mm/s with a maximum speed of 160 mm/s and has an enclosed build area. The spool storage is internal and it has a camera and scanner. The build plate has a glass construction and it magnetic with self-leveling. There is a USB 2.0 port, with a 100 Mb/s Ethernet port and it supports Wi-Fi. The printer stands 21.6 inches wide, is 14.8 inches high with a depth of 15.3-inches and weighs 46.3 lbs. 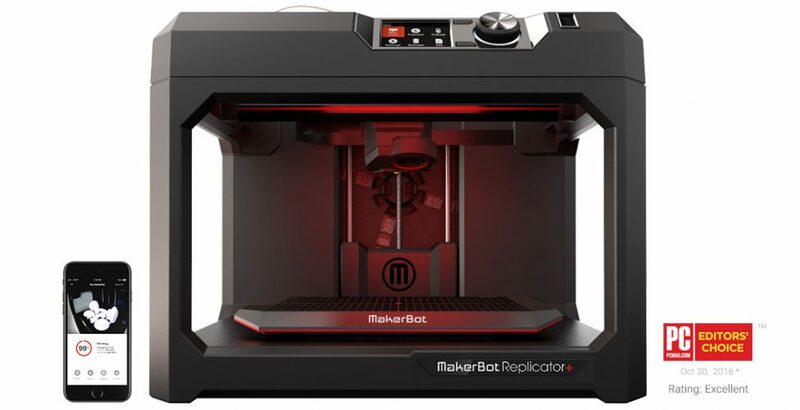 Another MakerBot 3D printer is the Replicator+ that has a large build volume compared to the 5th Generation desktop sibling in the series. Included you receive the powerful MakerBot workflow tools to print projects faster. The Smart Extruder+ is standard in all of their printers and is compatible with the Slate Gray Tough PLA Filament bundle. The z-stage has undergone an upgrade for consistent performance. Connect the printer to the MakerBot software and mobile app to control your printing projects from anywhere. Another outstanding thing is you can import Native CAD files to print. You receive optimized printing with the new slicer that automatically adjusts the slice settings according to the printer model, extruder, and software version. Other features you get is the Cloud-Enabled Management, auto arranges multiple build plates, improved rafts for printing and works with MakerBot Tough PLA. This filament is as tough as ABS and has the same reliability as PLA. The 3D printer detects jams and notifies you if the filament is out and it has advanced auto-calibration. The print technology used is fused deposition modeling and the build volume is 11.6 x 7.6 x 6.5-inches. The resolutions 100 micros and the filament diameter are 1.75mm and compatible with both the Smart Extruder+ and Tough PLA Smart Extruder+. The nozzle diameter is 0.44mm and the printer measures 20.8 x 17.4 x 16.2-inches and weighs 40.4 lbs. 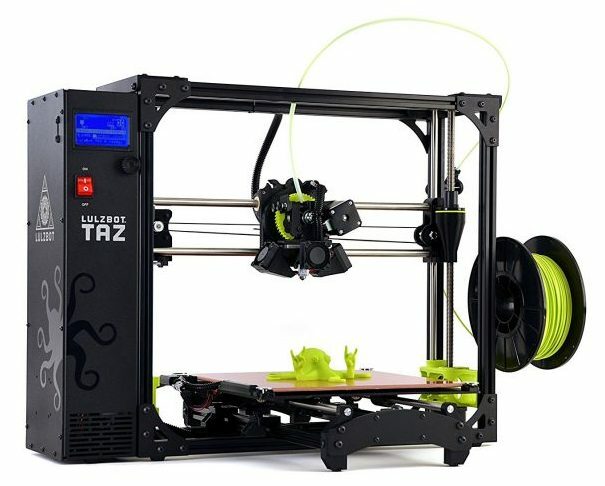 If you need one of the best 3D printers and have the budget, look at the LulzBot TAZ 6 model. This printer has self-cleaning, self-leveling, tetherless printing and an included power supply. The build volume is 11.02 x 11.02 x 9.8-inches to handle large prints. Furthermore, the printer supports more than 30 filament materials and has a hot end extruder with dual part cooling fans. With the unique design, you can upgrade the printer to make it more flexible to use. The print surface is PEI heated and works with hundreds of Quick Print Profiles. Other standout features: tetherless printing via SD card, dual extruder compatible, designed with all-metal LulzBot Hexagon Hot End, filament diameter is 3 mm and the nozzles 0.50mm. The layer thickness is from 0.05 mm to 0.50mm and includes a one-year warranty. The TAZ 6 has a direct feeder system with a single extruder with a max print speed of 50 mm/s and an LCD display screen. The dimensions of the printer are 35 x 26 x 12-inches and weigh 43 pounds. If you have projects that need 3D printing buying the best three-dimensional printer can help you achieve this. However, when in need of choosing the right one you need to consider some important things. The first and most important thing is to understand the printing technology as not all printers use the same technology. The majority of printers reviewed here on our list use Fused Deposition modeling also known as Fused Filament Fabrication. Another familiar name is Plastic Jet Printing and helps to process three-dimensional object printing layer by layer. This is done with the help of 3D modeling software and the printer extrudes lengths of plastic material by using a heated nozzle. As the process proceeds, the material cools down and hardens. You can buy a printer that makes use of Stereolithography for short SLA. Here the printer has a laser that solidifies layer on layer of resin to form an object. Which type of printing material do you prefer to use? Another important thing to consider is the type of material used in the 3D printer. The majority of brands use a coil or spool of filament. The different types of filament you can buy are ABS or PLA available in different colors. Both these thermoplastics can be used in certain models as they are heated and become flexible to form the shape of the object printed. ABS is a strong material and very flexible, has a high heat tolerance, and preferred by many professionals. While PLA produces a thinner layer of thickness with sharper corners and you can buy it in a wide range of colors. The materials preferred by hobbyists for printing and great to use at schools. There are some 3D printers that allow you to print on different types of material such as nylon, resin, wood, High Impact Polystyrene, and stainless steel. The common diameter size for ABS and PLA filament is 1.75mm and 3mm. Another important feature is the spool size as it differs from one model to another. One more thing is that some printers have an opened or closed holder to place the spool. Printing Speed – The standard FDM model prints at 40mm/s – 150mm/s and can extrude 40 to 150mm/sec of molten filament. This goes hand in hand with the resolution – the higher the resolution the slower the printer works. Build volume/Print Area – When you buy a 3D printer with a larger build area, the bigger the objects are you can create. If you buy a desktop 3D printer, the build volume does not exceed 380mm³. The Extruder – If you buy a FDM printer, it has a heated printing nozzle with a motor to force through the filament. There is a temperature sensor and sometimes a cooling system. The Layer Resolution – This feature allows you to choose how your final product is printed either with a high or low resolution. Choosing a low resolution gives you an object with thicker layers and more visible. While a high resolution is smoother and the individual layers are not noticeable. 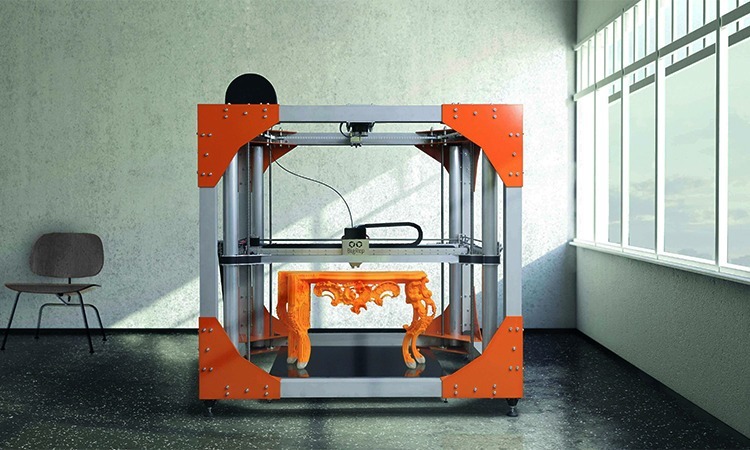 Other important features – With the above 3D printers reviewed here, you can choose your connectivity from USB, Ethernet connection or wireless. You can buy them with USB and SD card slots with LCD display. Do you want the printer assembled or as a kit – Here you can choose to buy the device assembled or in a kit to assemble it yourself. The all in one device – This is a handy printer with combined features from faxing, copying, scanning to printing. Some of these printer models even have a camera for monitoring the printing process and automatic material recognition. The majority of 3D printers come with their own software included. The programs help you to open and print STL file. You can buy one to use with 3rd-party 3D printing software. Finally yet importantly is the price of the printer. Here your budget determines the type of 3D printer you want to buy. A desktop model can range from $250 to $450. The higher the price the more quality features offered. Another thing to remember is the warranty and can range from 6-months to two years depending on the brand you buy. We hope that our best 3D printers available in 2019 help to take out the challenge when you decide to buy one. The important thing is to decide for what you plan to use it as this determines which model is the right one. Printers on our top 10 3D printer list have their own attributes. Step a bit back, decide which specifications important for your specific project, and compare them with each other – this will determine which one is best suited for your needs.